Gain an in-depth understanding of the new ClimaCheck PA Pro III Performance Analyser, the third-generation platform for ClimaCheck measurement systems. The ClimaCheck PA Pro III, available as a ClimaCheck Portable or Permanent DIN-Rail solution, provides a complete analysis of every operating parameter of any type of Air Conditioning, Close Control, Refrigeration or Heat Pump System, running on any refrigerant fluid. 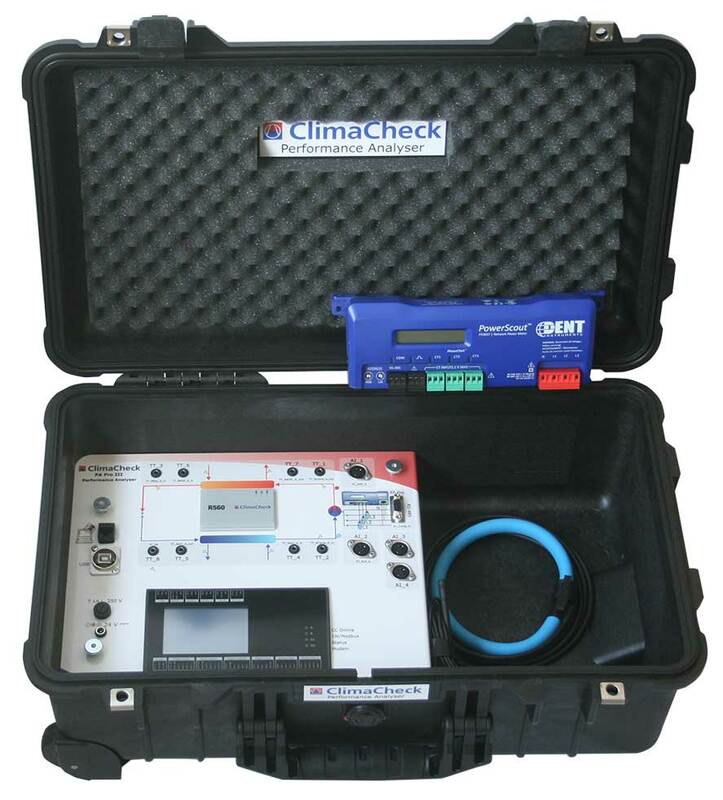 ClimaCheck is available as a Portable Performance Analyser or as a Permanently Installed Performance Analyser. 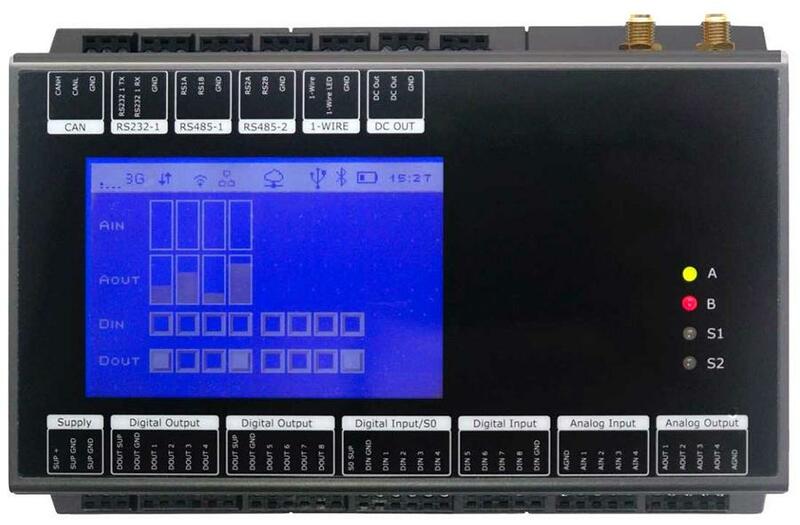 Portable Performance Analyser – can be connected to most systems within 20 – 30 minutes and the results displayed in Tabular Worksheet, Graphical or System Schematic Formats. Results can be read at 1sec, 5sec, 30sec or 60sec intervals. This course is designed to give attendees an introduction and working knowledge of the NEW ClimaCheck PA PRO III Performance Analyser. 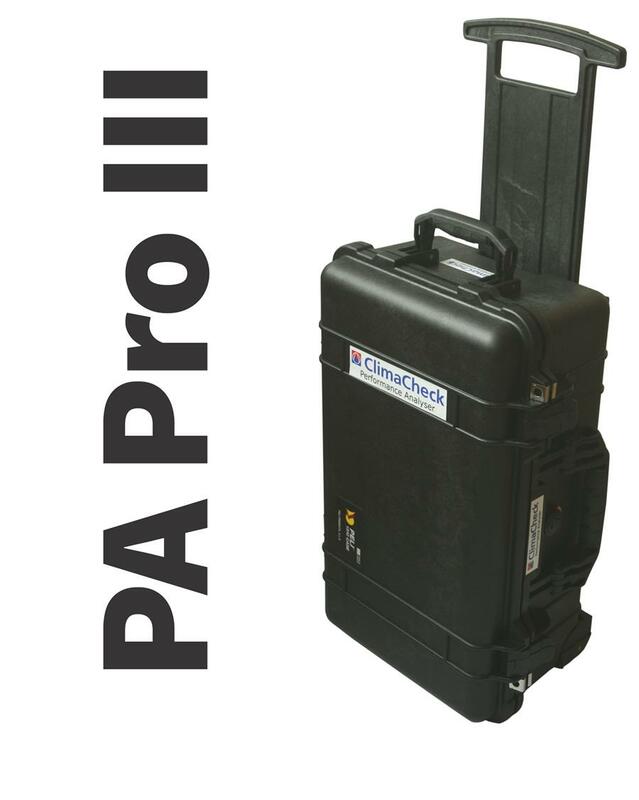 ClimaCheck enables A/C & Refrigeration Engineers to take field measurements of all types of AC&R equipment / systems using the Portable version of the ClimaCheck PA PRO III. Attendees are expected to have a reasonable level of AC&R field experience covering servicing, maintenance and commissioning of air conditioning / refrigeration / heat pump equipment. Attendees are invited to submit their questions in advance of the course, to ensure that the training is of particular relevance to their field experience and requirements. How does Superheat / Head Pressure / Sub-Cooling adjustment affect the system? An overview and description of the new PA PRO III will be covered, with open discussion and questions. Candidates should download a free 20 day trial version of the ClimaCheck, firstly familiarising themselves with the general features before attending the Course. The Course requires you to bring your own Notebook PC / Charger, etc. Candidates who already own a ClimaCheck Portable, should bring their notebook PC/Charger, but are also welcome to bring the ClimaCheck Portable hardware, particularly if they have any problems that require rectification/discussion, as we may be able to assist in this regard during your time here. A light buffet lunch and refreshments will be provided. The solution delivers certainty when installing ACR & HP devices, together with ongoing analysis of the system. Similarly the remote analysis software tools deliver the potential for savings in both time and money for service engineers. ClimaCheck gives businesses the edge… Come and see for yourself.